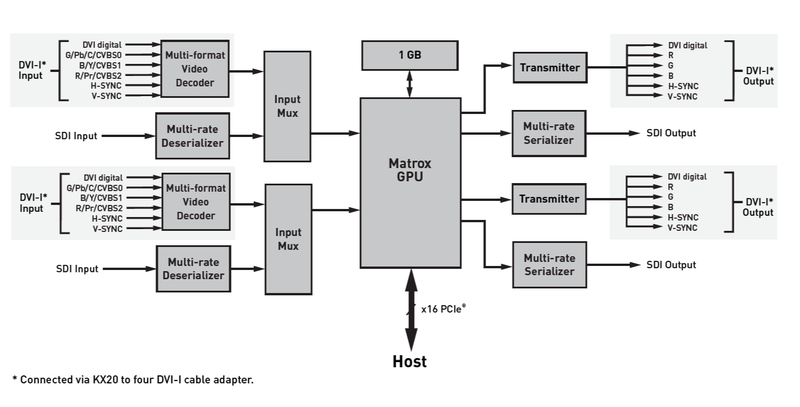 The Matrox Orion HD is a high definition graphics and video capture card. It supports SD and HD video inputs and outputs. INCLUDED ACCESSORIES: KX20 to 4 DVI-I and four (4) SMB to BNC cable adaptors.